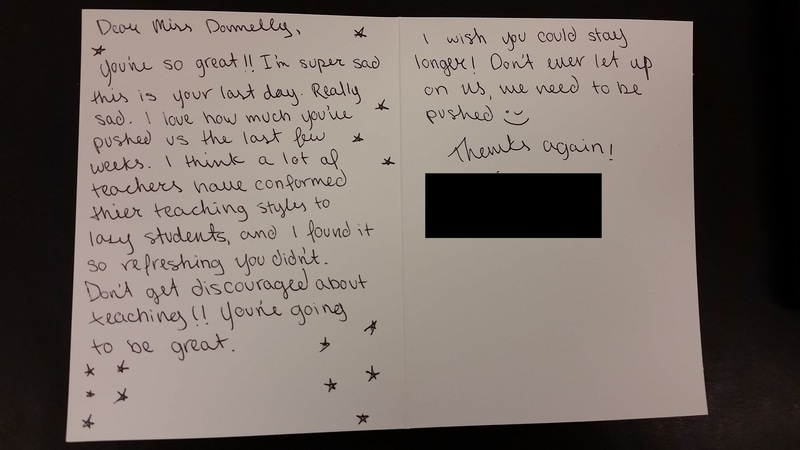 Reflections on my student teaching performance from my cooperating teachers, Deadra Stanton (Mason City High School) and Emily Sopko (Forest City Middle School). 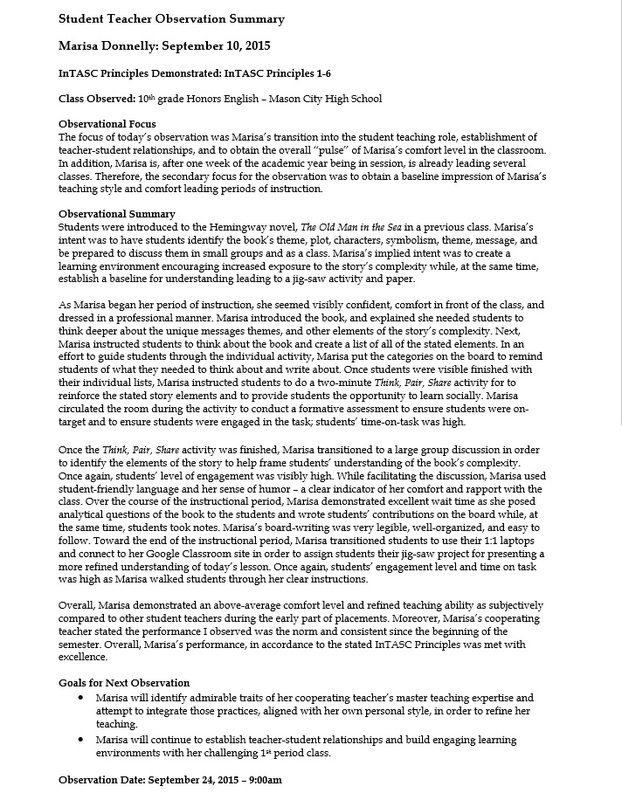 Assessment of meeting the INTASC Standards in my student teaching experience by cooperating teachers, Deadra Stanton and Emily Sopko. 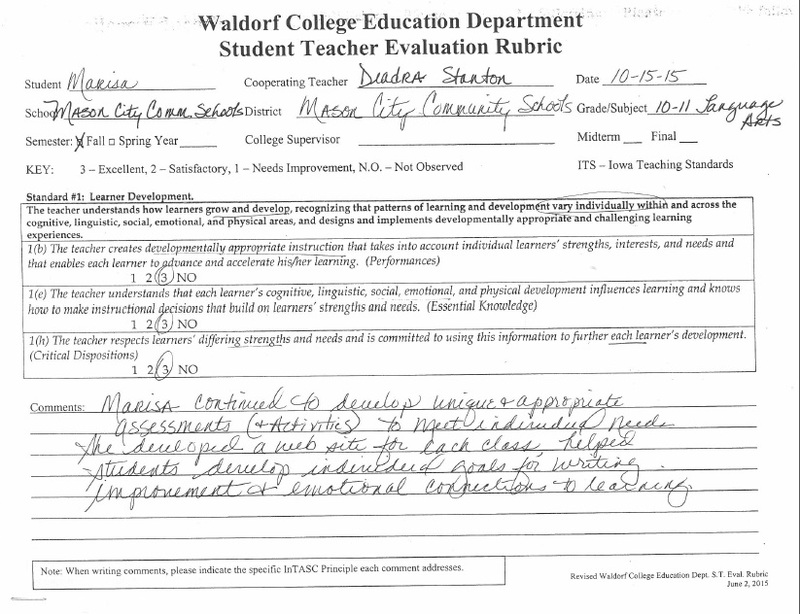 Formal observations of my student teaching by the Waldorf College Education Department. 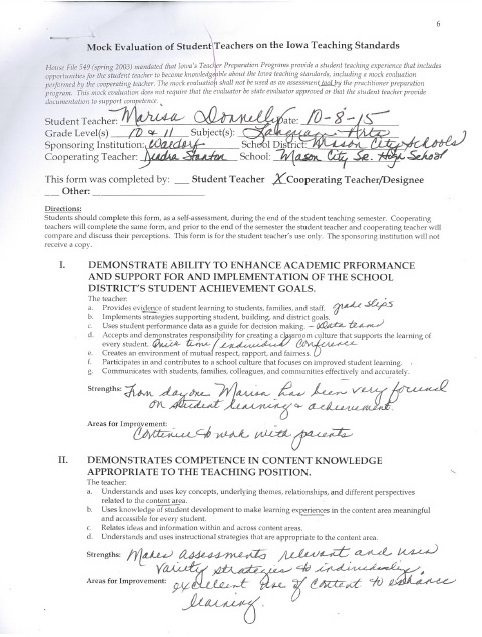 Formal evaluations of my student teaching experiences at Mason City High School and Forest City Middle School by cooperating teachers, Deadra Stanton and Emily Sopko. 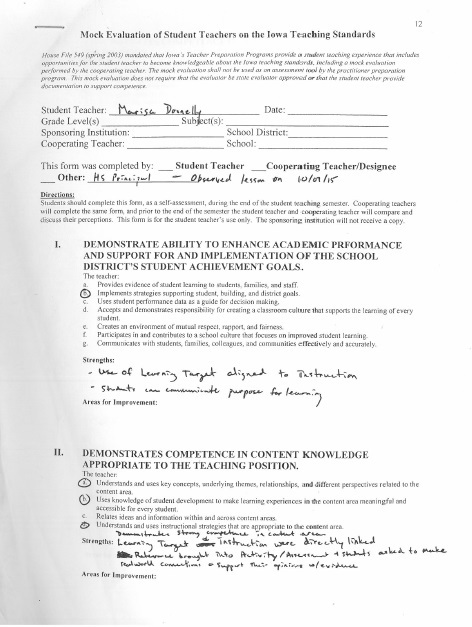 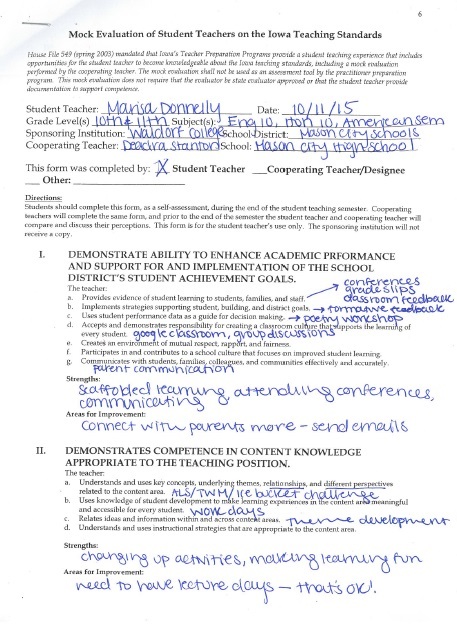 Evaluation of my student teaching experience at Mason City High School by building principal, Daniel Long. 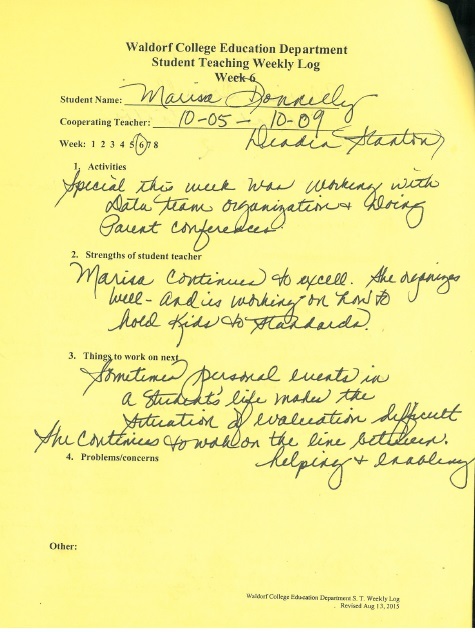 Notes and comments on my teaching from a Mason City High School substitute and students.